Borderlands 2 Is Done. So Gearbox Is Working On DLC. Today Gearbox announced that they're officially done with work on Borderlands 2. 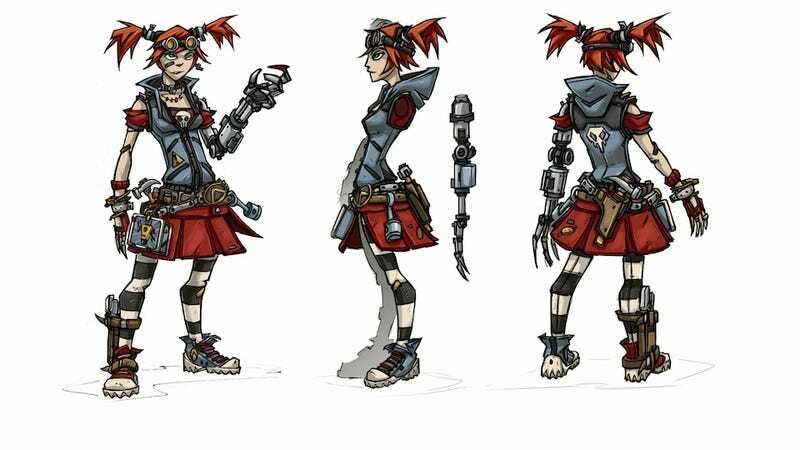 The full game is in certification, so that leaves Gearbox's hands free to work on the first downloadable content, introducing a new character class: the Mechromancer you see above (note: they're just sketches for now). This mech-friendly character will be available roughly 60-90 days after the game releases. If you pre-order Borderlands 2, you'll be part of the Borderlands 2 Premiere Club, giving you access to her for free.